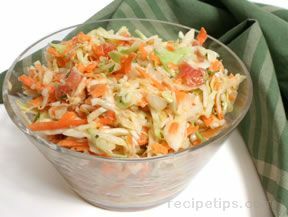 Mix all dressing ingredients together - set aside. 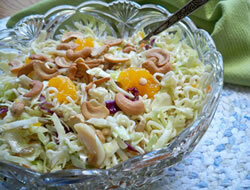 Crunch up noodles (Do not cook them). 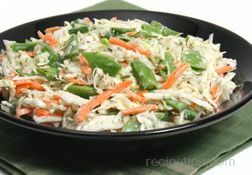 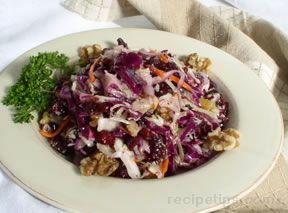 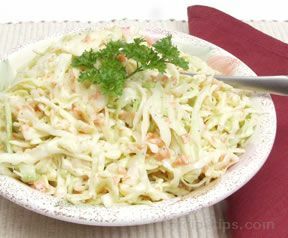 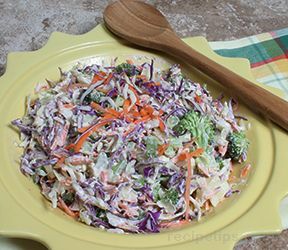 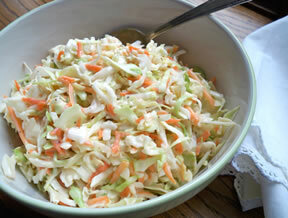 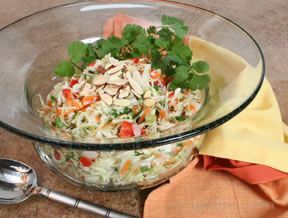 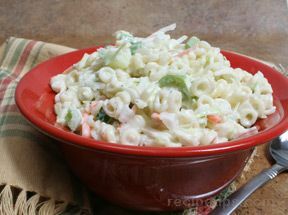 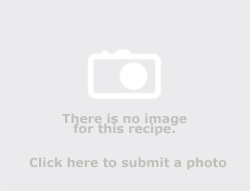 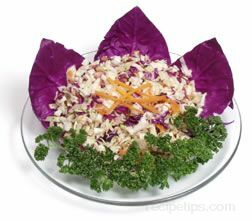 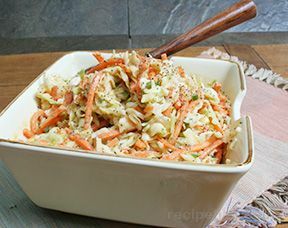 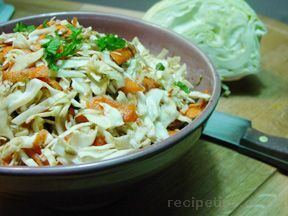 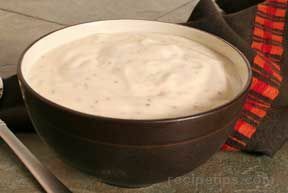 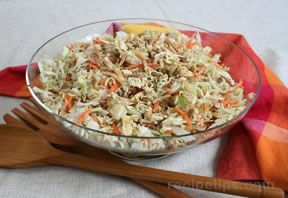 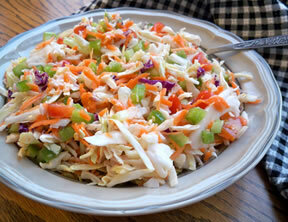 Combine with coleslaw mix, add almonds, and dressing mix and refrigerate for 2 or more hours - the longer the fridge time, the softer the noodles.